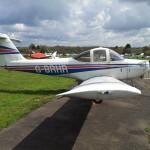 Fly Elstree was started at Elstree in 2009, offering flight training for the PPL (Private Pilot’s Licence), IMC (now IR(R)) and Night Ratings – as well as Trial Flying Lessons, Ground School and aircraft hire. We are located at the most convenient airfield for large areas of Greater London, including the City of London, the West End and the North and North West London Boroughs. 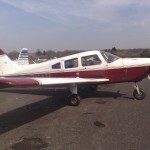 If you’re seeking flight training London Elstree should be on your list. Learn to fly over the traffic! Ches Cole has been flying since 1980, instructing since 1999 and is a CAA Flight Examiner for the PPL and IMC (single-engine). He is the CFI, sole Director and Manager of the Club. Naturally then, all flight tests, revalidations, renewals and written exams can be carried out from our comfortable Clubhouse seven days a week. To provide a friendly relaxed atmosphere that is attractive to members, where professional instruction can be received and enjoyed in a calm and measured fashion. We have a large team of very experienced instructors, three full time and seven part time, ensuring availability seven days a week. Our prices our trimmed to the lowest practical level from the outset and we do not give discounts for up front lump sum payments, ensuring those of all means are treated equally. In fact the only payments we take in advance are for membership – which is currently still only £120 per year (less for new members joining part way through the year). 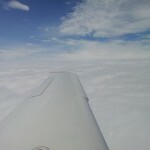 All we ask is that everyone pays for their flying or other charges on the same day the task is completed. Currently by cheque, cash or PAYM. Because all flying is charged by tacho time, it is possible to fly at lower power settings and trim the cost per log book hour substantially below the chocks figures on the Aircraft Page. Even the Archer can be as low as £140 per hour by doing this. Learn to fly, over the traffic! Reach for the stars, Fly Elstree!